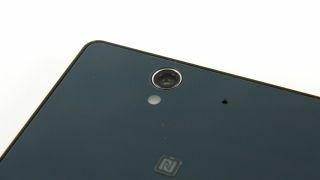 A photo supposedly taken with the upcoming Sony Xperia i1 (aka Honami) briefly hit Google+ with incriminating EXIF data on board. Although it has been taken down now, the speedy-fingered Phone Arena crew managed to take a screengrab of the not-hugely-inspiring photo of bike handlebars and a Garmin cycle computer. The Exif data, also grabbed from Taylor Li's Google+ page, describes the camera as a Sony C6902 - thought to be the non-LTE edition Sony Honami handset - while the resolution is pegged at a massive 3936 x 5248. That puts the camera sensor at a Samsung Galaxy S4 Zoom-beating 20.65MP, although it still lags pretty far behind the Nokia Lumia 1020's 40MP affair. Of course, Exif data can be tampered with so let's not take this as gospel - but the fact that the image has now been taken off Google+ altogether gives us an inkling that the image was legit. The Sony Xperia i1 is expected to be a slinky little number, with a 5-inch 1080p screen, 2.3GHz quad-core Qualcomm processor and Walkman audio chip to its name. We shouldn't have too long to wait until we find out what the Xperia i1 has up its sleeve for real though - a press teaser released last week suggests all will become clear on September 4 at IFA 2013.